We are happy to announce a new pricing plan as of this release, which includes a free plan, a basic one with web to phone option and a comprehensive one. 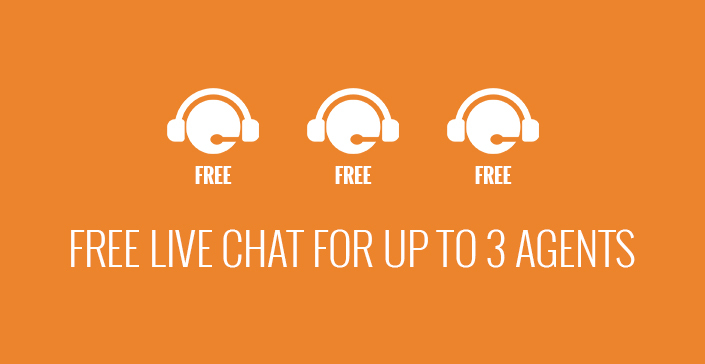 Free – A free account that allows live text chat functionality for up to three agents! Basic – NEW – Web to Phone and document sharing capabilities. Your customers can reach your agents directly from your website on the phone using their WebRTC-enabled browser phone even if they are offline or away from their desks! You set up the rules. Plus – This is our flagship solution. It includes state of the art HD video chat capabilities, our own co-browsing solution for your website as well as offline content (e.g. product documents, images). 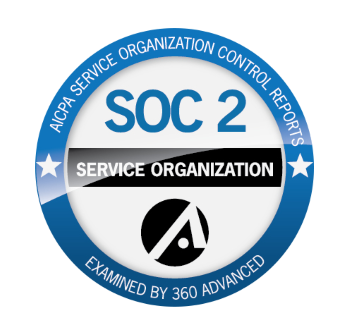 This includes the ability to upload content by both agents and customers, view video clips together, complete PDF forms and much more. If your business is interested in real personal engagement, this solution is for your business. Contact us for demo and further information. If you have a free account it will be converted to the new free plan features with no changes needed at your end. 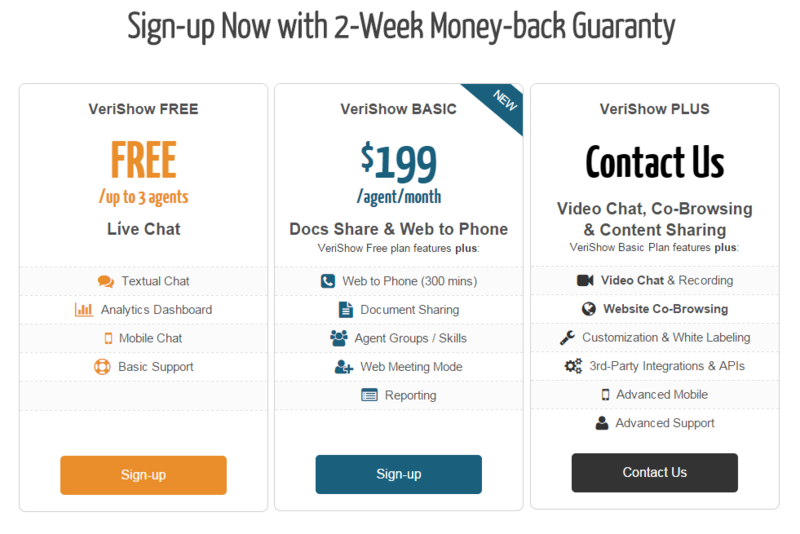 You can choose to upgrade by clicking the ‘Upgrade’ when you are logged into your VeriShow account. If you are on another previously plan (e.g. Standard), it will remain as it was before. Visit the new pricing page for more details. If you have any questions, or would like to learn more about the new plans, please contact us.